British Airways have been in Wales for over 20 years undertaking maintenance repair and overhaul on Boeing 747s from a purpose built three bay hangar adjacent to Cardiff Airport. They also have an avionics facility and an interiors unit in South Wales. 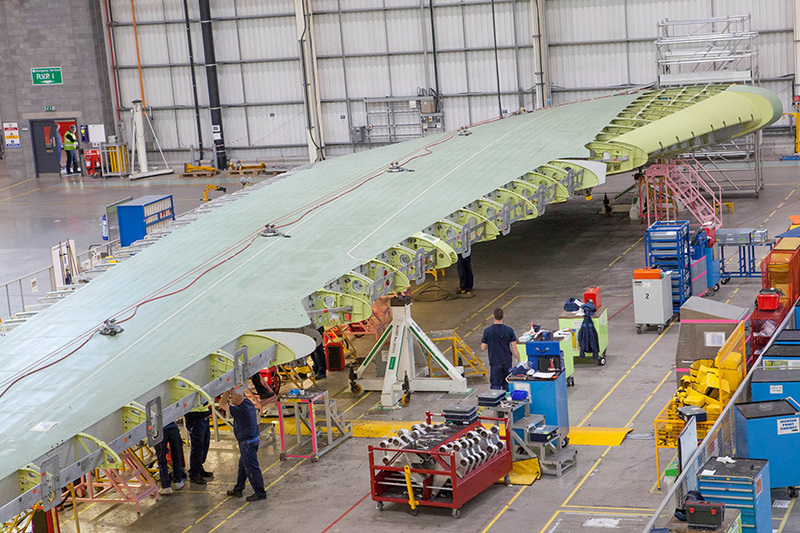 Now part of the IAG Group, BA are working on adaptations to the building to accommodate the Dreamliner to secure their future in South Wales. GEAES Nantgarw is building on its position, to become the MRO global centre of excellence for wide bodied jet engines, by securing the forthcoming GE9X engine at entry into service (EIS), safeguarding 400 jobs. As recently as April, 2016, GE Aviation started testing the world’s largest jet engine, the GE9X (as wide as the body of a Boeing 737 and wider than Concord). DECA Sealand. The WG has supported this significant, long term MOD contract in terms of resources, including finance to deliver F-35 component MRO & U services. The innovative Joint Venture between DECA, BAE Systems and Northrop Grumman will see a hub centred at Sealand, which should create and sustain thousands of jobs in NE Wales in a vital high tech sector. The UK is entering exclusive contractual negotiations with Lockheed Martin. The initial contract period is from 2018 – 2025, but could go on until 2040, providing high value employment for the site which recently celebrated its 100th year. Qioptiq in St Asaph has been successful in winning a major contract from the UK MOD to supply and maintain a large range of Surveillance and Target Acquisition equipment over 6 years worth £82 million. The Welsh Government will construct a 24,900 sq ft facility investing £2.5 million in a purpose-built facility at St Asaph. A further investment of £2 million will be made by Qioptiq in fitting out and IT systems. Raytheon received Welsh Government support to upgrade facilities and expand their Special Mission Aircraft facility at Broughton for the Sentinel programme (creating 60 jobs). This project enabled the company to develop a Raytheon Head Office within Deeside Enterprise Zone which, alongside supporting the existing mission system integration work, also supports business development activities to win new work in new areas for Raytheon, including satellite telecommunications and specialised design activities.